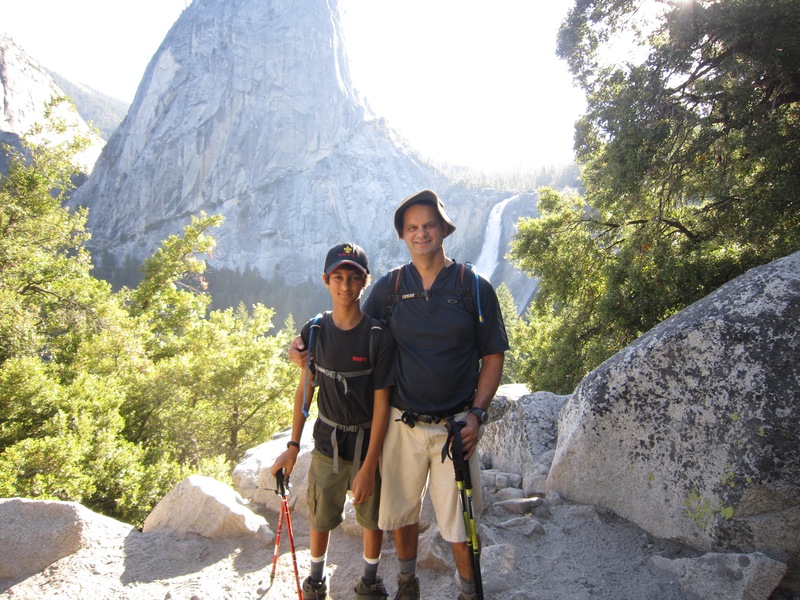 We just got back from a weekend of camping and hiking in Yosemite. Nikhil, Vikram and 12 of their boy scout troop joined in the fun. 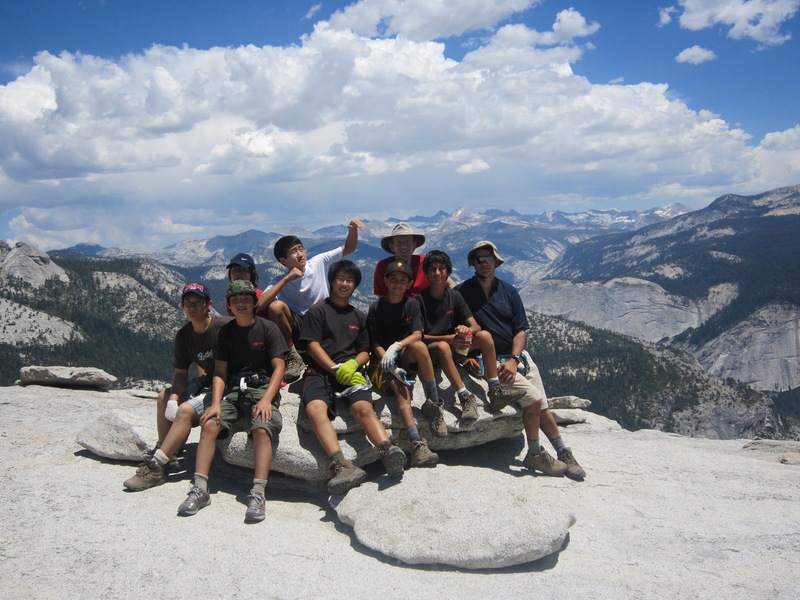 I had arranged the camp sites and pre-ordered the half dome hiking tickets last February. This is a strenuous 21 mile hike (from Upper Pines Campground via John Muir Trail) with 4800 feet of elevation gain and took us over 12 hours. 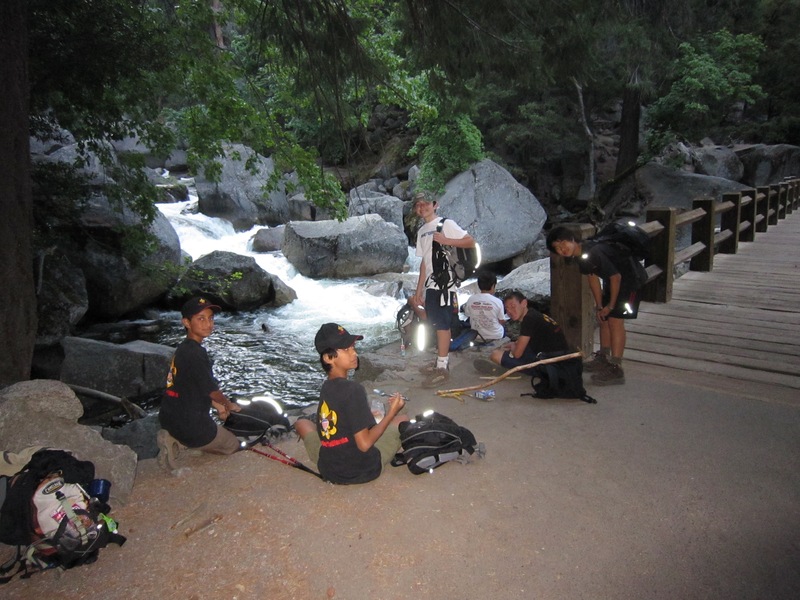 We started our hike at 5:30 AM and started up the John Muir Trail. Here we are at our first break about an hour into the hike. 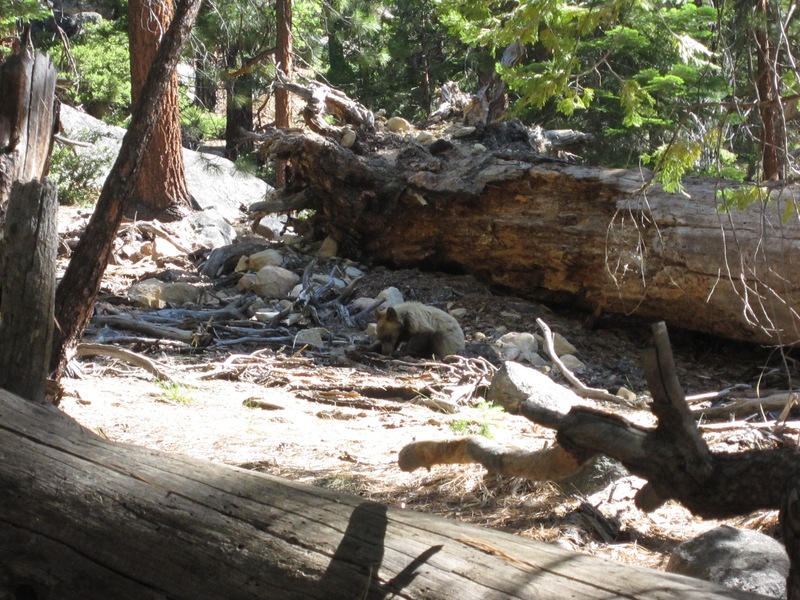 We were fortunate to see this rare sighting of a bear cub at about the 10 mile mark. Vikram snapped this shot and we moved along quickly just in case the mother bear was near. 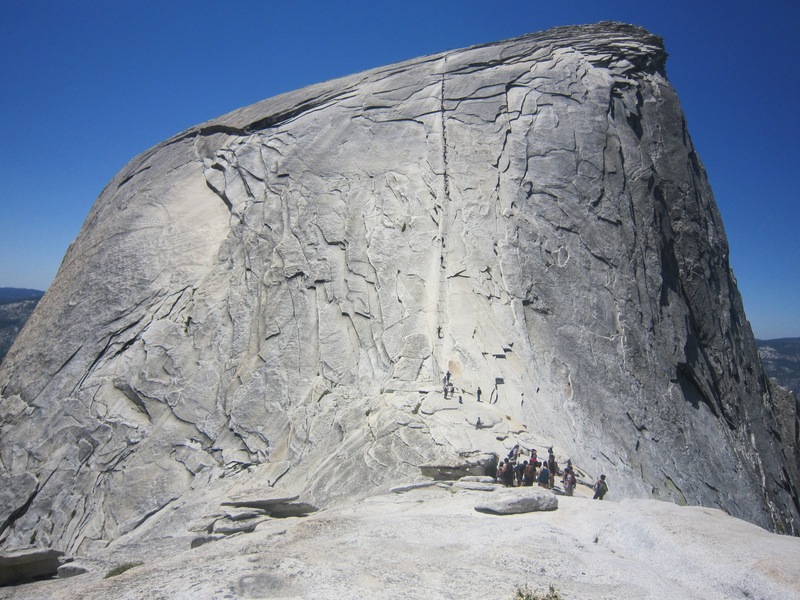 Here is a great shot of the approach to Half Dome. If you look closely, you will see the trail of people. The lower half is a rock scramble up the mountain, the upper half is the famous cable hike. Here we are at the hump right before the cable section. Finally, we reach the top. I had all the boys harnessed into the cable with an Alpine Bod harness, runner and carabiner. The hike back down the mountain was a bit quicker and had some glorious views of Nevada and Vernal Falls (below). We had all carried up over 4L of water per person and yet nearly all of us were running out at the end! Once again, it amazes me how many unprepared people we saw along the way with a bottle or two of water in 90 degree heat! 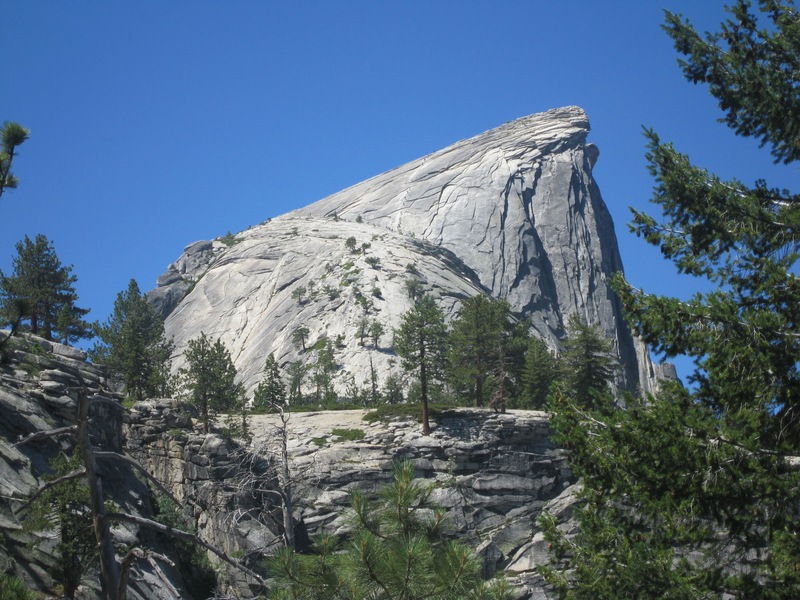 It surely is a very spectacular and fantastic site of the half dome. It is a feather in the caps of Nikhil, Vikram & boy- scout team and the leaders. As always, your commentary and photos gives us total feeling of accompaniment. Congratulations! I will be making that trek in Sep. Great pictures and summary of your trip. I take your statement about the water seriously, thanks for mentioning it. In addition to the water, you should have 6-8 snacks, a good pair of hiking boots (that are already broken in), an extra pair of dry socks (to change into at the half way point), first aid kit, and gloves for the cables. I would also recommend several 10-15 mile hikes with at least a couple of thousand feet of elevation gain as preparation. The Boy Scout motto is “Be Prepared”. It’s been a long time. Did the hike from Tuolumne to the valley. Did half dome and it was spectacular. 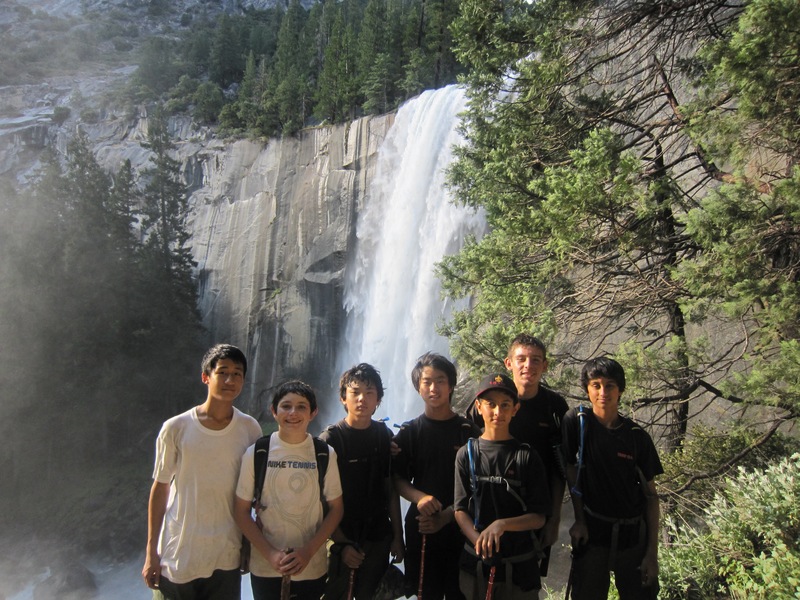 Did the Grand Canyon of the Tuolumne last fall. Another great hike.